Two’s company; three’s a treat! The spacious Comfort Triple Rooms offer an ideal solution for a relaxing vacation. Families with children or a group of friends will find this a comfortable accommodation for up to 3 people. 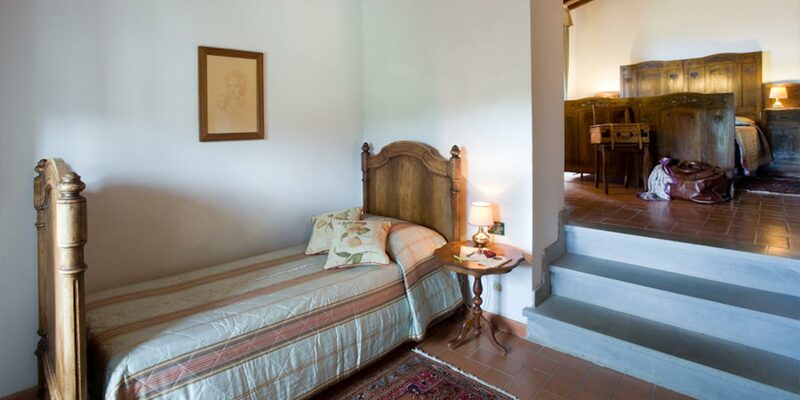 These rooms boast picturesque views of the Mugello valley or the park. 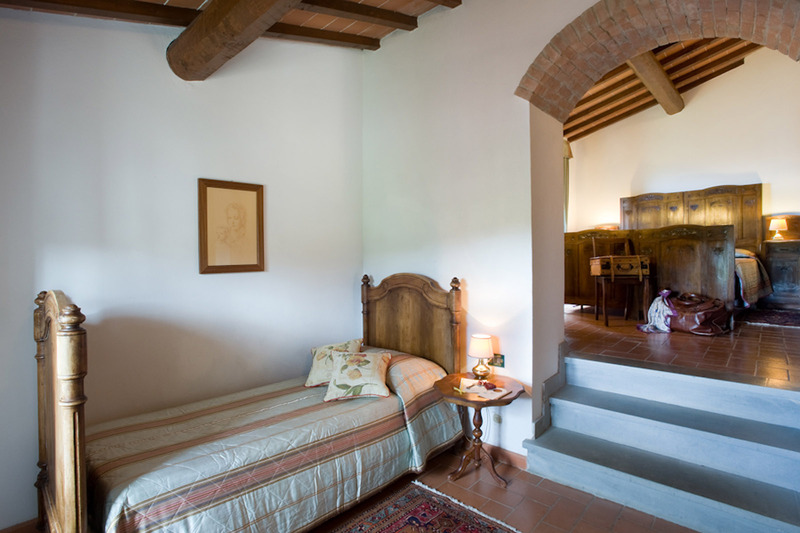 They are available either with a double bed and single bed, or with three single beds, and are decorated with warm colored handcrafted fabrics that harmoniously match early 20th century antiques. Room measurements are around 35 sqm (323 sqft). The bathrooms, equipped with a bathtub or shower, are tiled with the artistic ceramics of the “Antica Manifattura Chini” in Borgo San Lorenzo.